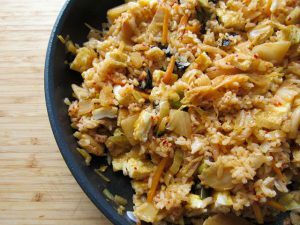 Rice with kimchi is a very simple and delicious dish. If I have no idea for dinner and I have kimchi in the fridge, the choice is obvious. 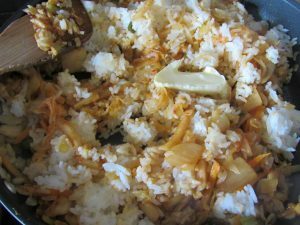 If I have cooked rice, then the whole dish should not take more than 20 minutes. 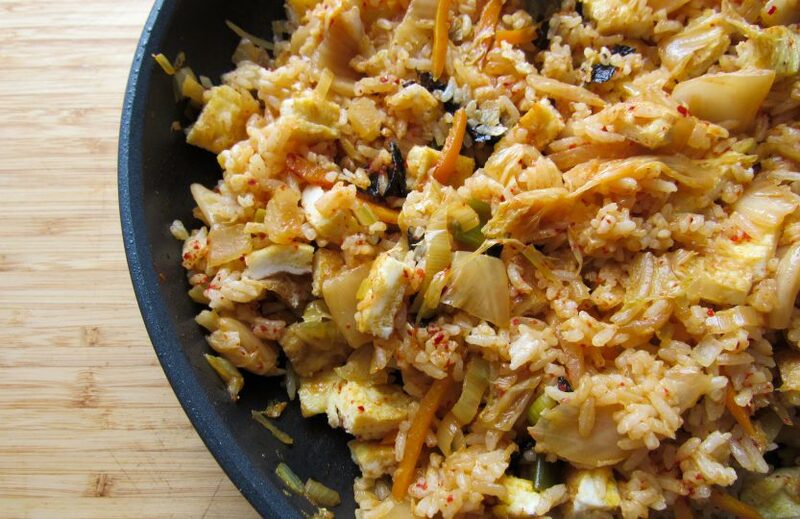 The recipe I give you is the simplest version of this dish. Once I added to this recipe sliced ribs from the previous day and to be honest, it was delicious. 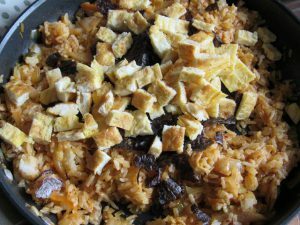 Do not skip the butter in the recipe (well, unless someone is a vegan), because it enriches the taste. 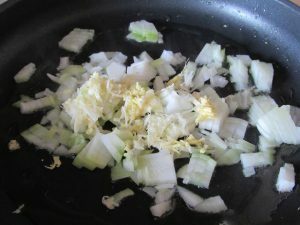 1.Chop the onion into cubes and fry until tender with garlic and ginger. 2. 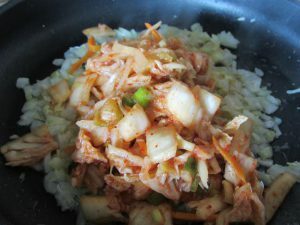 Add kimchi, stir and fry until the kimchi becomes soft (about 7 minutes). 3. 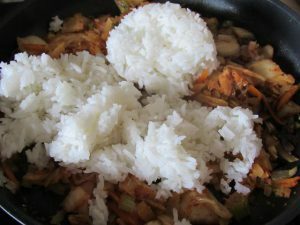 Add rice, soy sauce and butter. 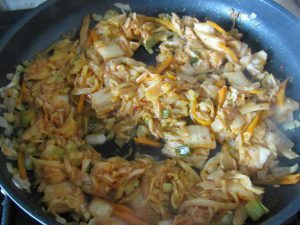 Mix everything thoroughly and fry for a few minutes. 4. In the meantime, fry the eggs. 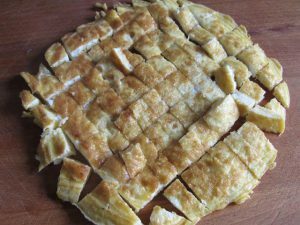 You can make ordinary eggs fried in a pan. 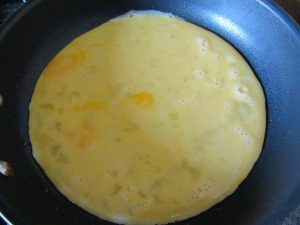 I made a simple omelette with spilled eggs with a little salt and sugar. 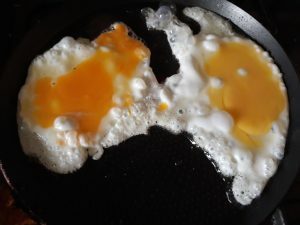 Cut fried eggs (or omelette). 5. 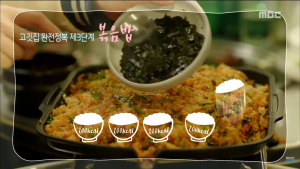 Add the cut seaweed and eggs (omelette) to the finished rice with kimchi. 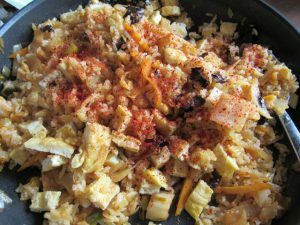 You can add a bit of sugar (or maple syrup) and hot pepper flakes to your taste.